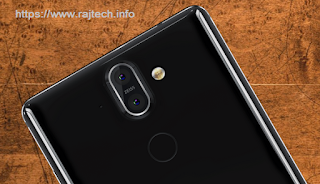 Nokia 8 Sirocco was launched in February 2018, & it's available on the market in April 2018. 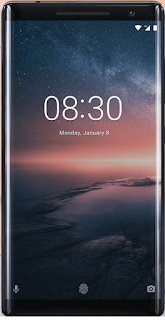 Nokia 8 Sirocco comes with a 5.50-inch P-OLED capacitive multi-touch screen display with 1440 pixels by 2530 pixels resolution at a 534 PPI density, 16:9 ratio. 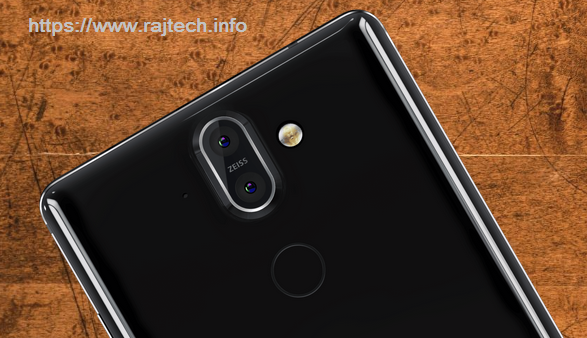 Nokia 8 Sirocco smartphone does not support dual SIM, it is a single SIM (GSM) smartphone that accepts Nano-SIM. Nokia 8 Sirocco support dust and water resistant, water resistant up to 1.5m for 30 mins. This Nokia 8 mobile powered by Qualcomm MSM8998 Snapdragon 835, Octa-Core (4x2.5 GHz Kryo & 4x1.8 GHz Kryo) processor. This Nokia smartphone comes with 6GB RAM with 128GB internal storage, users can't use external storage, because no external card slot is available. This Nokia Phone comes with Dual Camara, which is 12MP + 13MP for primary, 2160p@30fps, 1080p@30fps resolution. it has 2x Optical Zoom. The secondary or front camera is 5MP. Nokia founded in 1865, it's a Finnish multinational telecommunication, information technology, and consumer electronics company. Nokia is a major contributor to the mobile telephony industry, having been the largest worldwide vendor of mobile phoned and smartphones for a long period. Nokia company assisted in the development fo the GSM, 3G, and LTE standards and 5G in currently. - Dust and Water resistant up to 1.5m for 30 mins. Full Specification of OnePlus 5T With Price. - Li-lon 3260 mAh Non-removable.